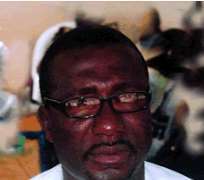 The chairman of Rivers State chapter of the Peoples Democratic Party, PDP, Bro Felix Obuah says the sudden demise of the renowned writer, Captain Elechi Amadi has occasioned a huge void for the literary world and Rivers State in particular. The State PDP chairman stated this while expressing his condolences to the Elechi Amadi Family over the irreplaceable loss of their father, and statesman. Bro Obuah noted that though the family, the State and the entire country should take consolation in the fact that death is non-negotiable in life, the sudden death of the literary luminary remains one too many especially this time his kind of personality were desperately needed in the country for their wisdom and fatherly advice. Bro Obuah said he personally received the news of the death of Capt. Elechi Amadi with grief and sorrow. He recalled the immense contributions of the late sage to the growth and development of education in Rivers State and the country while he served as Education Commissioner in Rivers State and the State Scholarship Board respectively, but more importantly, as a creative writer and critical thinker whose literary works have produced great minds the world over. He cited late Capt. Amadi’s books like The Concubineand My Calabash as some of the world acclaimed literary works of our time. Notwithstanding the pain and grief inflicted by the sudden death of a close relation like a beloved father, Bro Obuah said, we should however be comforted by the biblical instructions as Christians that in all situations we should give glory to the Lord. “It’s in keeping with this admonition that I convey to all his loved ones, the Rivers people, the literary world and the entire Elechi Amadi family my heart-felt sympathies on the death of our great friend, and teacher,” the State PDP Chairman declared. He assured the family of his unwavering prayers and supplications and joined them in wishing late Pa Capt. Elechi Amadi peaceful journey home to his Creator.